UPDATED: Thu., Jan. 17, 2019, 7:14 p.m.
A man previously unknown to law enforcement has returned 27 guns that were stolen last spring from the home of the Kettle Falls police chief. The man called Chief Chris Courchene’s office on Monday, a day after The Spokesman-Review broke news of the April 6 burglary and the complicated, nine-month investigation that followed. The man, whose name was not released, told authorities he had received the guns from Courchene’s ex-girlfriend, Alayna R. Smith, as collateral after she approached him asking for a loan, saying her aunt was sick. The man said he didn’t know the guns were stolen until he learned about it from the newspaper. 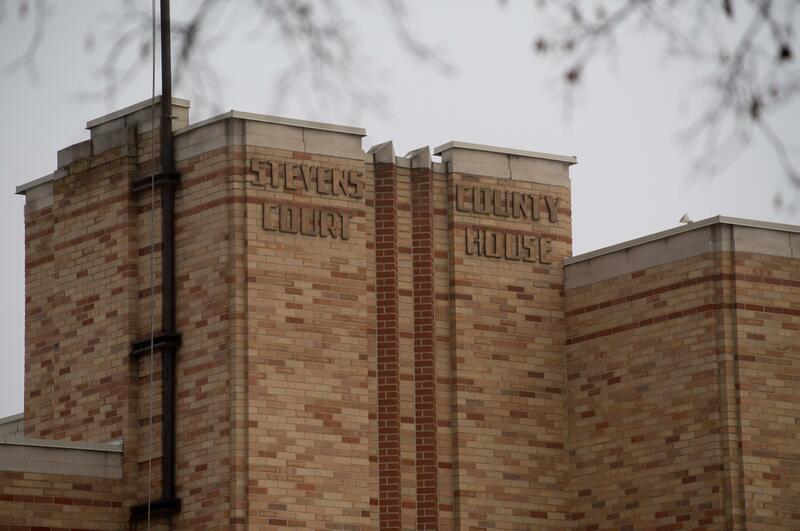 “It was only when the news story hit he connected the event and discovered Courchene was the victim,” the Stevens County Sheriff’s Office said in a Facebook post Thursday. Sheriff’s Detective Bill Bitton, who had spent hundreds of hours investigating the burglary, met the man and retrieved the guns on Wednesday. The sheriff’s office said Smith, 34, had been the prime suspect since the start of the investigation, though prosecutors say she reached a plea deal earlier this month that ensures she won’t be charged in connection with the stolen guns. Smith was arrested about a month after the burglary at a cabin in Northport, which she was renting with a credit card she had stolen from Courchene. She pleaded guilty Jan. 7 to three counts of theft, four counts of trafficking in stolen property, two counts of drug possession and 13 counts of identity theft. Smith agreed to plead guilty to those 22 felonies after deputy prosecutor Erika George filed a motion indicating she planned to charge Smith in connection with the stolen guns. The way the case panned out procedurally would complicate any attempt to file those charges in a new case. George said that until this week, authorities had only circumstantial evidence linking Smith to the guns, and so the plea deal seemed like the most reasonable conclusion to the unusual and protracted case. “Obviously, I would have made a different decision had I had any recovery of the firearms,” George said. Further complicating matters, Courchene waited one week to report the burglary to the sheriff’s office, during which time he attempted to investigate the crime himself. He told sheriff’s detectives he had twice sent Smith to meet a mysterious suspect and paid $1,250 in hopes of retrieving the weapons. One firearm apparently remains unaccounted for, as 29 guns were initially stolen and Courchene managed to buy back one pistol from that unnamed suspect. Smith was sentenced to more than three years in prison, followed by more than three years under state supervision. She is being held at the Washington Corrections Center for Women in Gig Harbor. In a phone call Thursday, Courchene said the man who returned the guns was credible and had no significant criminal record. Courchene also acknowledged Thursday he had been in contact with Smith during the burglary investigation, visiting her in jail on more than one occasion. Published: Jan. 17, 2019, 12:50 p.m. Updated: Jan. 17, 2019, 7:14 p.m.